Tata Consultancy Services (TCS), Wipro and HCL has maintained their respective positions from last year, and have been ranked as #1, #2 and #3 in the ranking of India’s most Influential brands on LinkedIn. 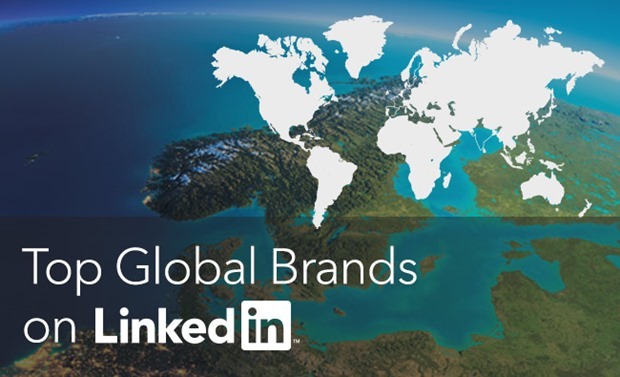 Globally, Microsoft is the most influential brand on LinkedIn, followed by Forbes and Harvard Business Review. Compared to last year’s ranking, Franklin Templeton India (#4 in 2014), Bajaj Finserv (#7 in 2014) and Mindtree (#9 in 2014) have moved out of the top 10, and have been replaced by Housing.com at #6, Tata Communications at #8 and Axis Bank at #9. Infosys, Tech Mahindra have improved their position during last 12 months, and moved up one position. Biocon has slipped from #8 to #10 this year. Housing.com, which is making some serious dent with their advertising and branding blitzkrieg all over the country (both online, offline), has debuted at #6 this year. Last year, Forbes was ranked #1, World Economic Forum was at #2 and Inc Magazine was at #3; meanwhile Microsoft was ranked #4. Publication legend Wall Street Journal was ranked #6, Financial Times was ranked #5 and Mashable was at #10. However, this year, 3 of the biggest publication companies such as WEF, WSJ and Mashabale have been ousted and technology companies DOMO along with search giant Google and consultancy firm EY has entered the list. In fact, all technology companies have made good improvement in their ranking. This proves the fact in order to excel in content marketing initiatives, it is not necessary that a publication business will have an upper hand. Technology companies, with their strong logic and coverage can give a good fight to native publications when it comes to digital marketing. Being a social media platform, LinkedIn relies heavily content based marketing, and to use it more practically, they introduced their Content Marketing Score last year, which forms the base of this ranking. Content Marketing Score is calculated by measuring unique engagement within the community, divided by total number of followers. Hence, if out of 100 followers, if 25 are actively engaging with the content posted on the brand page, then the Content Marketing Score is derived as 25%. Interestingly, along with the company posts on the specific page, LinkedIn also includes employee posts to measure the true worth of ‘engagement’. Sponsored Ads option is being used by 73% of all top ranked brands. LinkedIn shared that the distribution of popular topics was uniform, as there were no ‘giant niches’ which attracted most of the content. Hence, a Cloud Computing topic was equally liked and shared as a management or HR topic would.